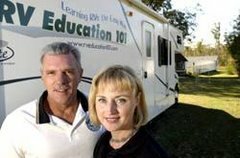 RV 101® Education with Mark Polk: Are U Haul Rental Trailers/Companies Safe? Are U Haul Rental Trailers/Companies Safe? It seems like every time I turn around I read about an accident involving a rented U Haul trailer. The trailer started swaying and the driver didn’t know what to do, the vehicle was under-rated for the loaded trailer weight, the tire came off while traveling down the highway, or the safety chains weren’t connected. It makes one wonder if U Haul trailers and the companies that rent them are safe. 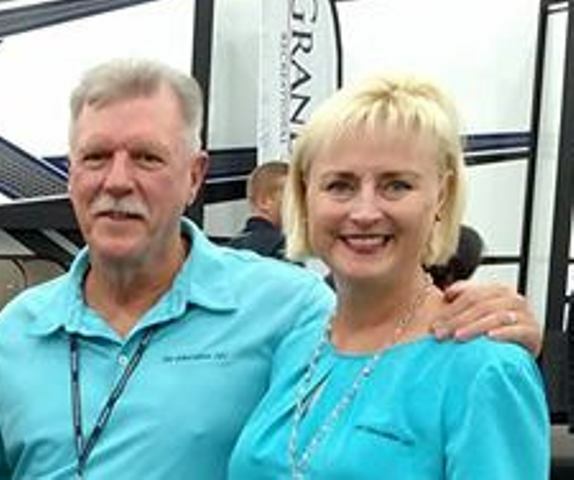 Well, recently I had the opportunity to experience the trailer rental process first hand. I am using U Haul because they are to trailer rentals what Xerox is to copy machines. I personally don’t know what the U Haul corporate office guidelines are for its satellite companies that actually rent trucks and trailers, but my experience renting a trailer wasn’t very good. I’m sure some rental companies are much more professional and knowledgeable than others are, but the company I rented from has no business renting anything. I won’t say who or where it was that this happened, we’ll just call it small town USA. Their primary business was automotive repair and I am guessing they got in the rental business to make a quick buck. I hope they are better at repairing vehicles than they are at renting trailers. I don’t want to say anything derogatory about U Haul in general. I am sure that they have requirements for routine care and maintenance of the equipment, like checking trailers in when they arrive at their final destination, or at least I hope they do. You know what I mean, checking lug nuts, tire pressure, brakes, safety chains, and checking for any damage to the trailer. But the big question is, are these maintenance and safety checks actually being conducted by the rental company that rents the trailers? The trailer I rented had a California license plate. That’s a long way to go without having some type of maintenance performed before it’s rented again! The story begins when I was helping my sister move recently. Most of her belongings were already moved, but there was still a good 6′ X 12′ trailer load left to move. So I took my truck and a few hitches with different drops and ball sizes that I had lying around and headed to the local U Haul rental center. The first indication of trouble was when I ask the guy, who was sent to help hook the trailer up, what size ball it needed. His reply was I think it’s 2 inches. Knowing I could find the information on the coupler I wanted to see how he would handle the situation when I replied that it’s quite important to actually know the right size ball for the trailer. He said he would need to go ask somebody. Next I slid a hitch into the receiver with a 6 inch drop. The guy helped me lift the trailer tongue and place the coupler on the ball. It was very obvious that the tongue of the trailer was too low, not even close to being level. The rental guy was tightening the coupler to the ball with little or no concern about the ball height. I stopped him and told him we would need to try a different hitch with less of a drop. I replaced the hitch with one that had a 2 inch drop and it was much more level. I don’t think the rental guy had a clue that the hitch ball height and the amount of tongue weight can contribute to poor handling and/or sway if the trailer is not adjusted and loaded properly. At this point I was beginning to understand why there were so many accidents involving U Haul trailers. We secured the coupler to the ball and connected the safety chains. The rental guy did offer to help check the lights, but that was it. I mentioned earlier that I didn’t know U Hauls procedure concerning maintenance checks, but nothing else was checked when I picked the trailer up. He didn’t even walk around the trailer to identify any damage to the trailer that already existed. I did notice that damaged areas on the trailer had small stickers with an X identifying the damage, so I walked around the trailer looking for any damage not already identified that I might be accused of causing. Before leaving the next day I thoroughly checked the trailer out to make sure it was safe for the 550 mile trip. It was obvious to me that my sister could have gone in to rent a trailer with a vehicle under-rated to tow the weight, the wrong size hitch ball, the wrong height and possibly no lights connected and nothing would be said or done about any of it. That’s a scary thought. So if renting a trailer is in your future do your homework ahead of time, just in case your rental guy isn’t quite up to speed on trailer towing topics.